TAG launched its Certified Against Piracy Program in 2015 to help advertisers and ad agencies avoid damage to their brands from ad placement on websites and other media properties that facilitate the distribution of pirated content and counterfeit products. Today, the Certified Against Piracy Program is open to participation by buyers, direct sellers and intermediaries across the digital advertising ecosystem. Buyers and sellers can now choose from a market of anti-piracy service providers whose services have been “Certified Against Piracy,” as well as earning the certification themselves. Research commissioned by TAG and undertaken by Ernst & Young LLP in 2017 showed the impact of industry efforts to reduce ad-supported content piracy. The study found that anti-piracy steps taken by the digital advertising industry have reduced ad revenue for pirate sites by between 48 and 61 percent, notable progress against the $2.4 billion problem of infringing content measured by Ernst & Young in 2015. The Certified Against Piracy Program provides companies with the Certified Against Piracy Guidelines, as well as a suite of anti-piracy tools, to aid in compliance with the program requirements. In order to achieve the Certified Against Piracy Seal, Direct Buyers must operationalize and comply with the TAG Anti-Piracy Pledge. In order to achieve the Certified Against Piracy Seal, Self-Attested DAAPs and Validated DAAPs must meet all of the elements in one or more of the five Core Criteria for Effective Digital Advertising Assurance. The TAG Pirate Mobile App List is a common list of mobile apps that were removed from App Stores for infringing on protected intellectual property rights. TAG publishes this list on a quarterly basis to assist companies in meeting the requirement in the Certified Against Piracy Guidelines that companies employ pirate mobile app filtering for all advertising displayed in a mobile app environment. Companies that are shown to abide by the Certified Against Piracy Guidelines receive the Certified Against Piracy Seal and use the seal to publicly communicate their commitment to avoid ad placement on websites and other media properties that facilitate the distribution of pirated content and counterfeit products. Requirements to achieve the Certified Against Piracy Seal differ according to a company’s role in the digital advertising supply chain. 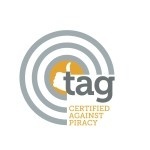 Reach out to TAG at info@tagtoday.net to start on the path to being “Certified Against Piracy” today.